Rough, unfinished, and silly drawn things. 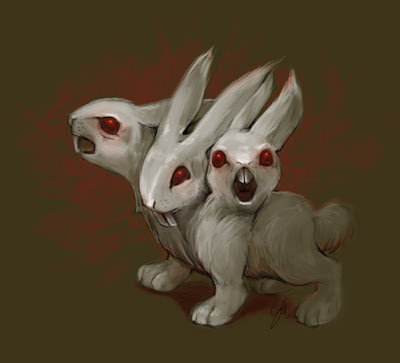 Look behind you, it's a three headed killer bunny with teeth so pointie! Old-school Perl monkey and comic artist. Developer by day, gamer by night. I probably have no idea what I'm doing, but I'll do it anyway.